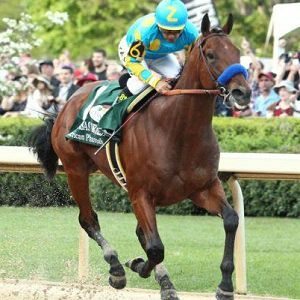 [Blind Gossip] This female celebrity will be heading to The Kentucky Derby. Is it for the horse race? No, she doesn’t know much about racing. Is it for the parties? No, she can attend parties every night of the week if she wants. So, why is she going? She says that she is going to go to the stables and check out the horses. [Her ex] used to say that he was hung like a horse, so she wants to check out the stallions for herself and see if it’s true. First of all, the horses in The Kentucky Derby are all under the age of three, so they are still technically called colts. [Optional] We’ve got McCraken to win on Saturday. Your pick? She’s an idiot, whoever she is. First, eww is right and holy strange! Could she not just google it like anyone else? Whoever she is must not have the internet or she wouldn’t have to waste so much money coming to KY. Do the state a favor and stay home girl, they don’t need that kinda nastiness there. I am sure this was said as a joke, but i think it is Kourtney Kardashian – talking about Scott Disick. I do not live in America so no idea. May the fastest horse win! Kate Hudson? Lol I have no idea. You got me at Derby : ) I don’t know about the rest, although she must be stupid to think that a human is really “hung like a horse.” But Derby! I’m from Kentucky, so I’m all about horse racing. And Ace, you seem to be up on yours. Whomever she is, she is not very bright at all. Seriously. She can’t just Google it? That has to be a joke! I like Patch. He’s as cool as a cucumber. I hope the track’s not muddy like when the ladies ran. I think that’s so dangerous. If she can’t make the comparison in her mind, then it must be she never actually saw her ex’s actual junk…which would make people think they were in an arranged/bearded relationship…which would make people think he’s gay…which makes me think it’s Olivia Munn. However, Aaron Rodgers is on a Derby party list, so she could just go ask him. Ha! If she were still alive, I could absolutely hear her saying this! Yes!!! My money is on your horse! I think this was said as a joke/sarcastically. Nora Roberts was at the Derby, this could have been her, or Sharon Stone…Bai Ling was there, she could have said it for the shock value. But she already has a certain horselike quality herself. This is snarky…and it made me laugh!! This vulgar comment has Kardashian stamped all over it! The trouble is which one? Kris has seen too much and is too jaded to care and that’s probably true of Kimmie too. Kendall and Kourtney probably don’t care how any guy is hung, so they’re out. That leaves us with: Khlooooe (a perennial favorite as the author of anything vulgar) or Kimmiebutt Jr. Guurl, Miss Kylie. I’m going with Kylie, since she *probably* has seen less p*een than Khloe. ITA 100%! It’s Kylie. (Tyga being the “ex”, and he’s GROSS). Reminds me of a preacher with a small pony. “Talk Derby To Me” made me think of her “Talk That Talk” album title. It made me think of Jason Derulo’s song “Talk Dirty”, but I didn’t find any girl that would fit this blind. Jordin Sparks were on a Derby race before, so she would know horse… And I haven’t see any news that would put his other ex Daphne Joy there… I’ll say the latter anyway! Follow her on IG even if I’m not a huge fan of her culinary skills ? She had to be joking…at least I hope this girl isn’t that stupid. She could just look at pics of horses online, or ever just go to a local stable. Her thoughts wander frantically between her ears asking where did the brain go. ?